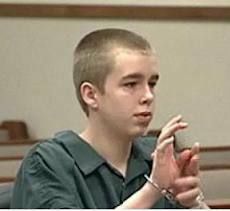 Joshua Young has been found Not Guilty in the murder of Trey Zwicker. His father (“Big Josh”) was found guilty for the crime and sentenced to life in prison. This entry was posted in Uncategorized and tagged guilty, Josh, Joshua, verdict, Young on August 10, 2013 by edimminger. One of the jurors was talking about how they don’t feel bad about their verdict today!. I hope he doesn’t have reason to eat those words.